A huge crowd cheered Marchand during his record setting on trackside. He carried number 105 on his back. The evergreen French cyclist Robert Marchand, during his record-setting ride. Marchand holds the hour record for 100+ age category. 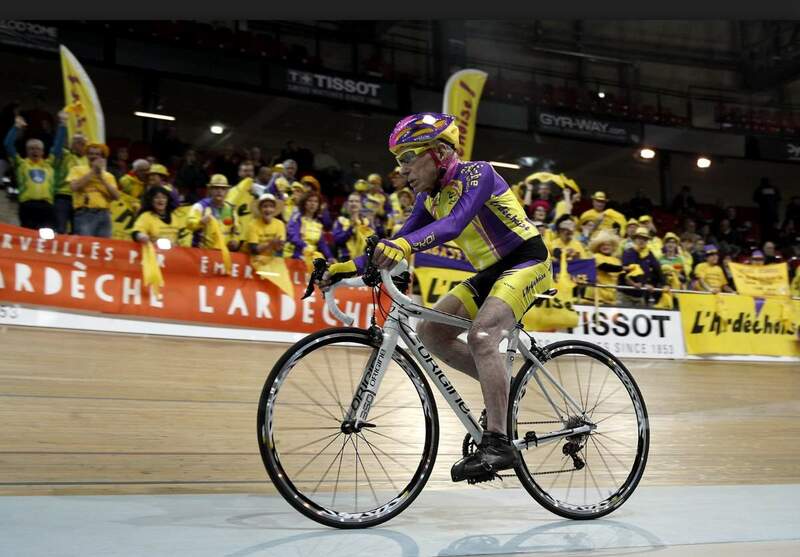 To give you an idea of what that distance means, three years ago at the same velodrome, he completed 110 laps in the track in an hour when setting his world record in 2014. He had admitted before the event that breaking his previous hour record would be tough. “I’m not in such good shape as I was a couple of years back,” he said. He added: “I am not here to be champion. I am here to prove that at 105 years old you can still ride a bike”. Born on 26 November 1911, the diminutive Marchand – he is 1.52 meters (5-foot) tall and weighs 52 kilograms (115 pounds) – started cycling in 1925 when he was 14 years old. A prisoner of war in World War Two, he then left France and went on to work as a lorry driver and sugarcane planter in Venezuela, and a lumberjack in Canada. then later left France and lived in Canada and Venezuela. He also worked as a fireman, market gardener, show salesman and wine dealer, and competed as an amateur boxer. He returned to cycling when he bought his first bike in 1978 at 67-year-old, building up the distances and training with riders who were far younger than he was. 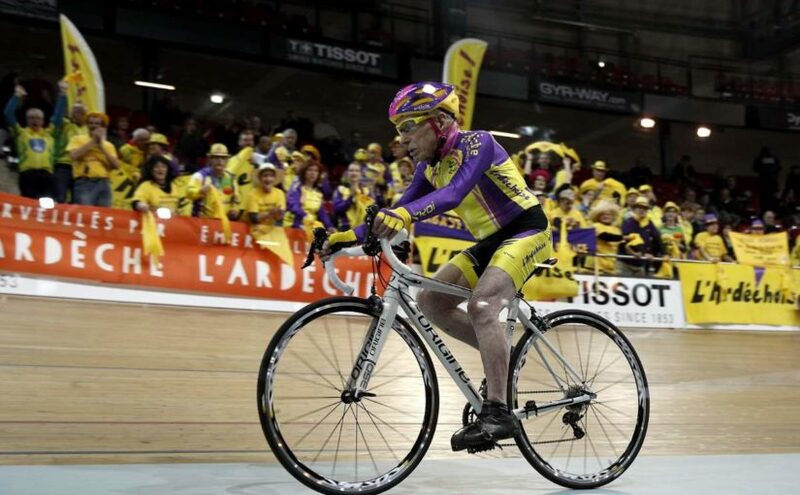 He finally retired from work at 89 years of age and rode the Bordeaux-Paris event around that time. He covered the 600 kilometers in 36 hours. Now, Marchand is living in a small flat in a Parisian suburb with a meager pension of about 900 euros ($940). He keeps pedaling and stretching every day. He puts his fitness down to diet – lots of fruit and vegetables, a little meat, not too much coffee – and an hour a day on the cycling home-trainer.